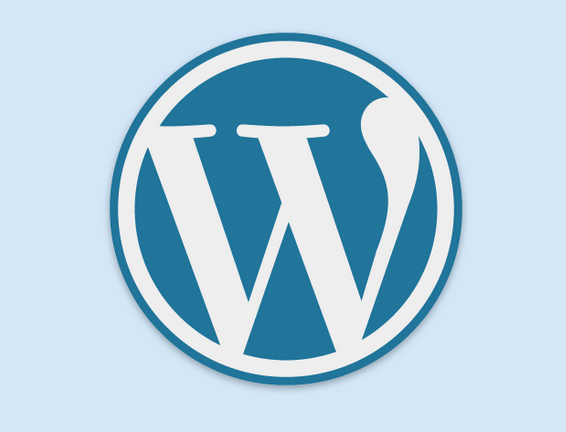 WordPress (.org) is the best platform for creating websites. Having a website is a must for teachers who want to find online students and become successful. This post will look at the many reasons why you need a website and how you can get one. 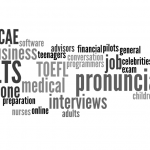 My first English teaching website took me hours upon hours of trial and error. I had no coding experience and didn’t really know what I was doing, but somehow I managed to get something up there. It looked pretty basic and wasn’t scalable, but it got the job done. It had all the information a student could need and a contact and payment gateway (easy to implement) so people could buy lessons without contacting me first. There are other options (see below), but if you want a website that looks professional and is easy to use, then WordPress is the perfect option for you. To become an independent teacher with a strong online presence then it is vital to have a website. Your website is your base, the equivalent of a physical language school. This is where you can showcase your teaching abilities and your courses to potential students, while also posting content (blog posts, tutorials, exercises etc.) for your visitors. Teaching online without having a website isn’t impossible, but it does make things a lot more difficult. A great website gives all the information a student needs about what types of lessons you offer, and is designed and worded in such a way to nudge people into taking lessons with you. Making a great looking and effective website isn’t as hard as most people think. Let’s now talk about what you’ll need to get yours up and running. The first thing to do is to buy a domain name. Thinking of a domain name can be difficult, and at first it may seem like everything you come up with has already been taken. I think that it is best to make it personal; students buy into a teacher’s story and not necessarily a big corporate website. 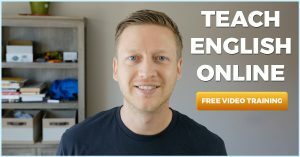 For example, www.englishteacher(yourname).com is great for branding. You just need to look at how much Rachel’s English has grown over the past few years to see how powerful this can be. To get your domain name, I recommend using Godaddy. Once you have your domain, you have two great options: Weebly and WordPress. Weebly is a drag-and-drop website builder that anyone can use. It is really simple to create a website that looks good and has everything you need – you can receive payments, have contact forms, and add pictures and videos. It costs around $4 a month (you can’t use a domain name with the free account), which is great value for what you get. Weebly is limited, but if you’re looking for something super simple and don’t mind the restrictions, then it should work for you. The other option is using WordPress. WordPress is easily the best platform out there at the moment. I can’t recommend WordPress enough. It’s easy to use, and creating your site is straightforward if you follow my instructions. It took me a while before moving to WordPress but I haven’t looked back since. For the independent teacher who doesn’t want to set limits to where online teaching can take them, there isn’t really any other option available that is as easy and professional. The amount of control it gives you, while at the same time taking away the need to know website coding, is incredible. You control the content, where it goes, and how it looks. The process is great fun and incredibly rewarding. There are lots of small things that you need to know when creating a website. These are technicalities and can easily be learned along the way and/or implemented using our free guide. While some are important (especially the safety issues), most don’t require that you throw your energy into them. The process of creating a space that attracts students, creates interest, and converts leads into paying students is something that needs to be thought about, experimented with, and tweaked. Keeping it simple in the beginning will keep you sane and help you get things rolling early on. It also makes things easier for your potential students to sign up with you. If this process seems a little overwhelming then you can always get someone to set up a site for you. But, if you are like I was, (short on money and like the creative process), then there is nothing from stopping you from doing it yourself and creating your new site. In fact, you could have things up and ready to go in just a few hours.